Welcome. Thank you for your interest in working with all farmers. Below are resources for working with English Language Learners (ELL) and refugee/immigrant farmers. 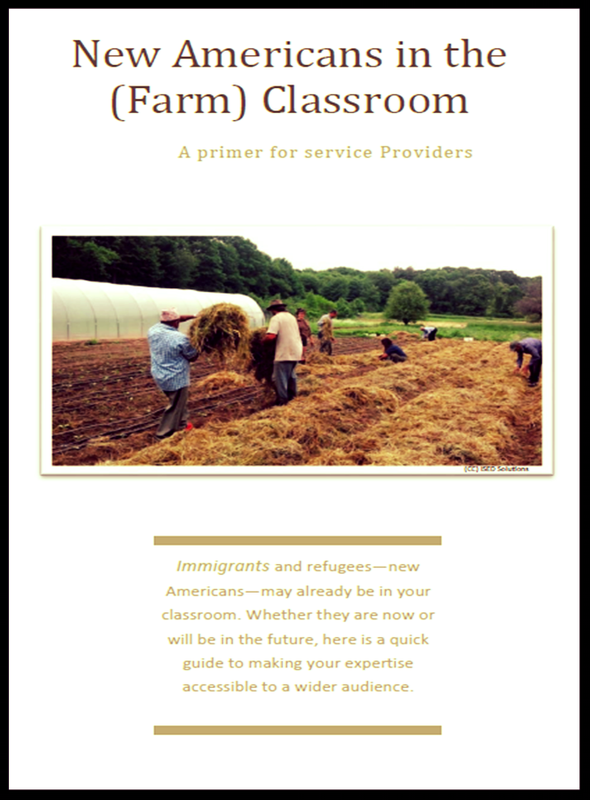 Concise overview of refugees and immigrants in the farm classroom. This is an excellent place to start. Thorough review of effective teaching methods for ELL/refugee and immigrant farmers. Concise list of best teaching practices for ELL/refugee and immigrant farmers. Extensive curriculum is available for ELL/refugee and immigrant farmers. Resources are free and many are peer-reviewed. Check the reading level of your writing. By using simple sentence structures and common words, your work can reach more farmers.